We are roughly halfway through our series of Meet & Greet rides. Thanks to the support of the local clubs, and sponsors Mulebar, the rides have proven popular. Judging by the comments, these outings have gone down well with London women cyclists. “My focus has always been on running but since I’ve committed to entering a few triathlons in the Summer, bike training has become necessary. I've always cycled for fun and would consider cycling as 'easy'. However, after being out on group rides several times and being badly defeated by the Chilterns Hills, I realised I was super un-bike fit and figured I needed to work on my confidence and bike handling skills. Joining a relaxed, non-competitive, but nonetheless experienced riding group seemed the way to go, and the women's ride fit the bill perfectly! Meet and Greet rides are open to sporty women of all profiles – from keen cyclists to rowers and triathletes with or without a club. 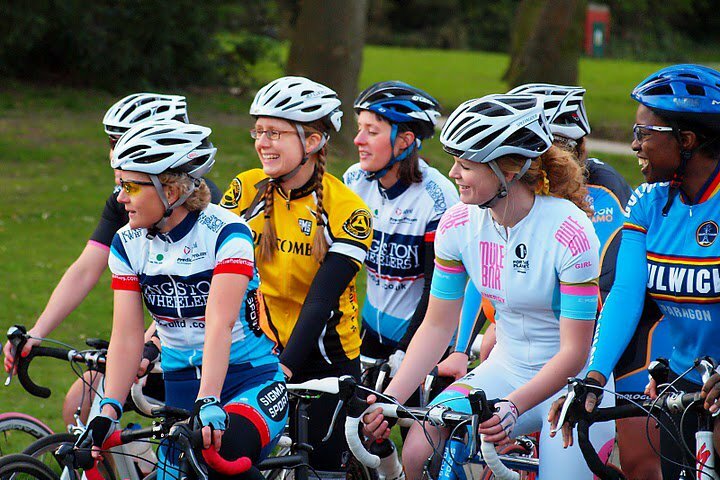 Come and join other women cyclists on the rides hosted by clubs in different parts of London and the South East, where you can find out more about women’s cycling from experienced club cyclists.